As Indian population is growing rapidly and it has become the second highest in the world, there is a huge need to have more healthcare facilities. Most of the hospitals require more number of nurses and doctors who can treat patients quickly and efficiently. To fulfill this need, technology has provided a boon called as Telemedicine and further now it is growing as Telehealth Nursing. Telehealth Nursing is a very novel concept in India. It is one of the Global Best practices, which is in the initial stage in India. First, let us understand what is “Telehealth Nursing” . According to American Telemedicine Association (ATA), telehealth nursing is defined as the use of telehealth/telemedicine technology to deliver nursing care and conduct nursing practice. 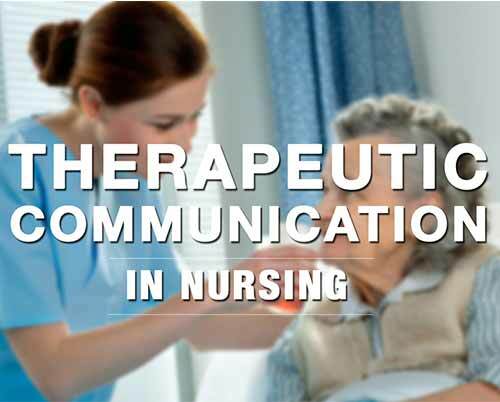 Nurses are directly engaged in the virtual delivery of healthcare through telehealth nursing. Telehealth nurses require the same nursing skills and knowledge similar to nurses practicing in specialty areas. Along with this they should have the ability to understand and apply technology to the best of their capability to assess and communicate the patient’s physical and mental status. Nurses also need to understand that even technology has some limitations and certain aspects in nursing are dealt with physical presence rather than virtual presence. Telehealth Nursing is an extension of Telemedicine. Now, let us understand little bit about Telemedicine. According to ATA (American Telemedicine Association), it is broadly defined as the delivery of any health care service through any telecommunication medium, for example, a patient consulting a physician, nurse or allied health professional via a video conference, rather than face to face or in person, or a patient with a chronic condition utilizing an in home device to monitor vital signs and transmit data to a nursing center for assessment and medical intervention. Patients and health care personnel such as physicians, nurses, and technicians living in different geographical places can communicate easily with the help of telemedicine. The senior Director of communication at ATA states that “the one thing that ties all telemedicine together is that it involves a clinical health care service, it directly contributes to the health and well being of the patients, and the patient and provider are separated by some geographic distance. We Indians are becoming more technology savvy and it is need of the hour to understand and utilize Telehealth Nursing and telemedicine to our best advantage, as we are hugely populated. People should get all nursing and medical facilities even if they are in different geographical areas.